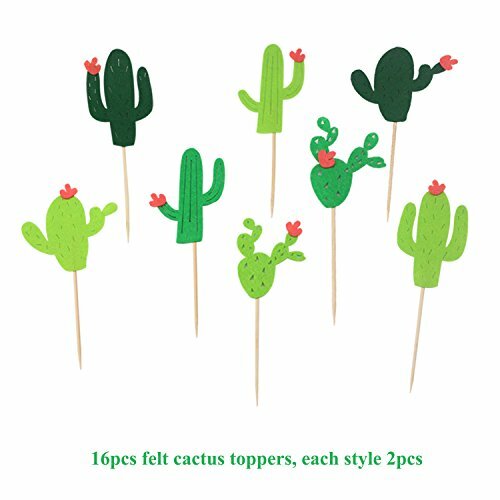 Package included: 30 pcs latex balloons+2 pcs cactus foil balloons+1 set felt made cactus banner+16 pcs felt made cactus cupcake toppers. 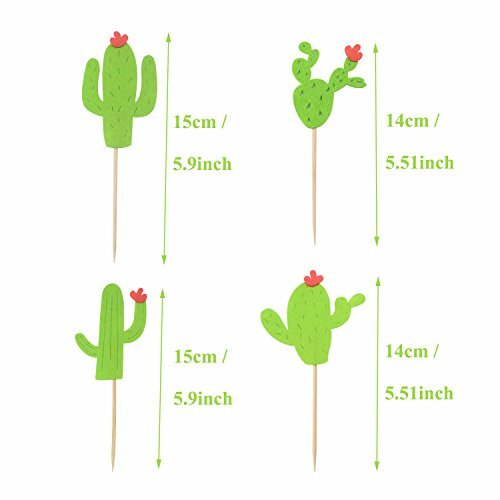 Size: Please refer to the picture Material: Foil/Felt/Latex. 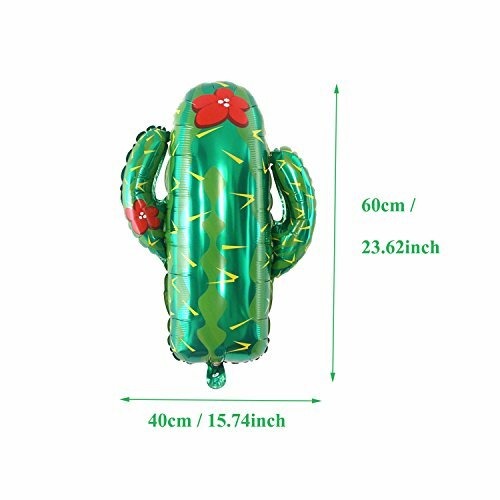 The cactus foil balloon sometimes is a little heavy due to different period of mass production, if the helium is not pure enough, may not float. 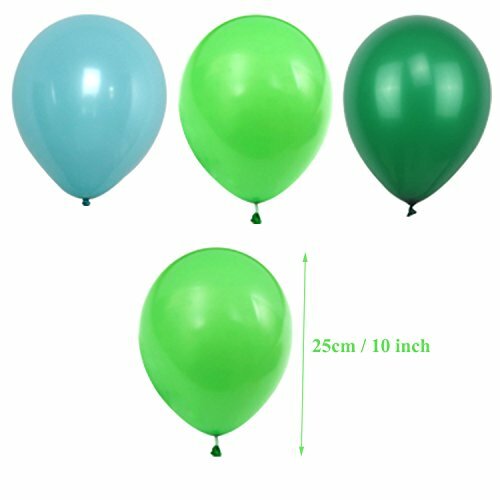 When the balloons failed to float, please try to cut the extra material on the edge to make it lighter. 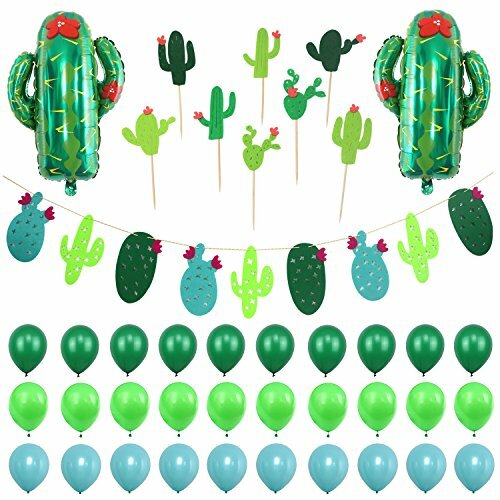 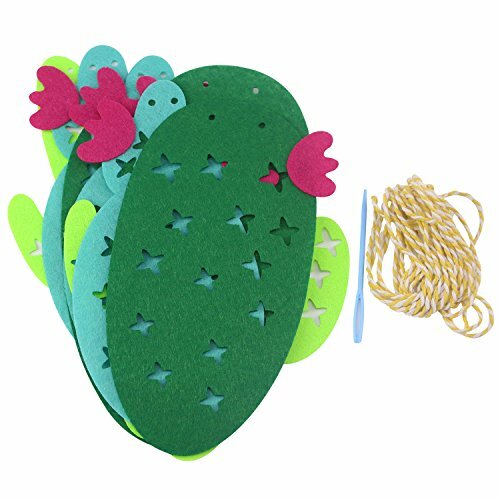 It's durable and reusable, perfect for any cactus party decorations, such as cactus baby shower, cactus bridal shower, cactus birthday party, cactus first birthday party, etc. 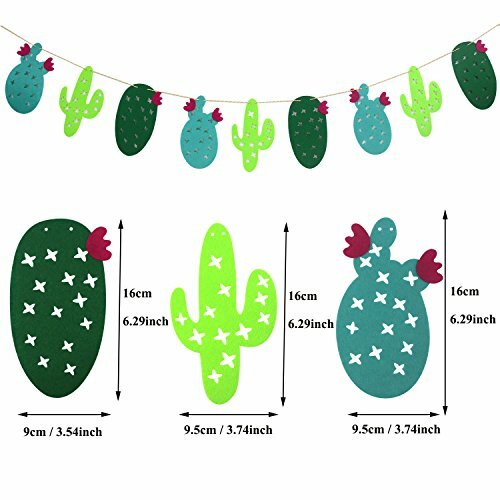 Assembly required: This is a DIY project, all elements come in separate packing.